Brad Hall sings advice to graduates. Gearing up to film Williston Northampton’s convocation in a couple of weeks. You probably didn’t know that Brad Hall, a Saturday Night Live alum, is also a Williston Northampton alum. 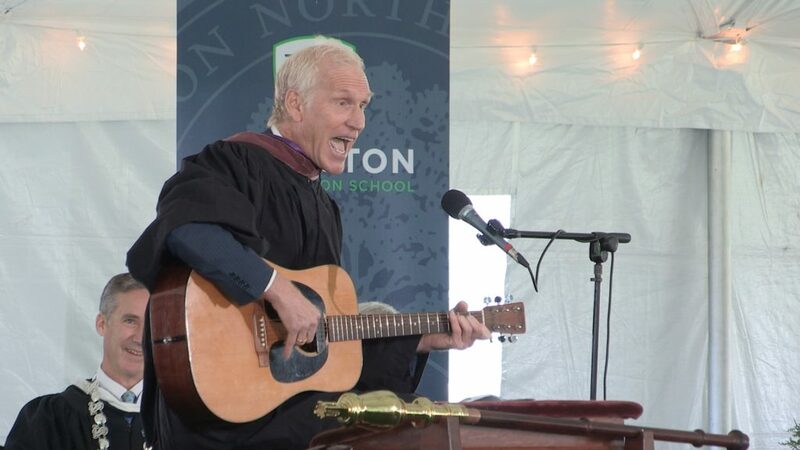 I was filming the Williston commencement a couple of years ago when Mr. Hall came back to campus to give the commencement address. Capping off a very entertaining talk, Mr. Hall got out his guitar and left the students with some memorable musical advice. He brought down the house.